WORCESTER, Mass. - The Holy Cross women's hockey team lost to No. 4 Boston College, 5-0, Saturday afternoon at the Hart Center. On a day where they were outshot 50-16, the Crusaders were not without opportunities. Carlie Magier and Rachel Moore paced the squad with four and three shots respectively. Holy Cross created a handful of quality looks on its power plays, most notably a couple hard strikes by Anotnia Matzka that looked destined for the back of the net. In goal, Julia Pelletier made 45 saves, with 18 of those coming the second period where the Eagles only recorded one goal. The Crusaders also only took three penalties in the game, which is below their season average of 4.7. 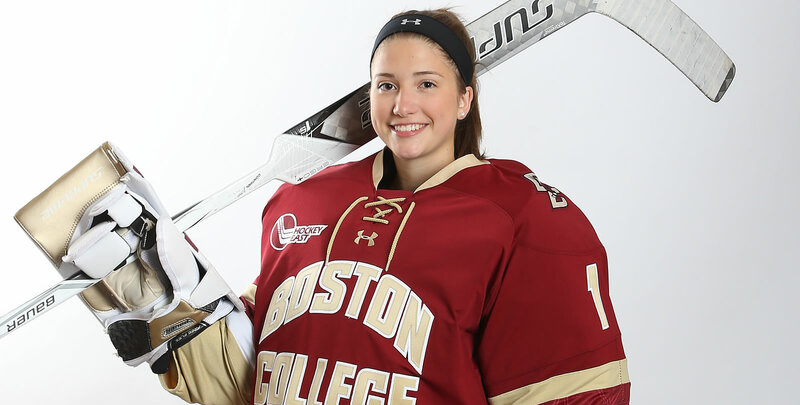 2-0 BC (1st, 10:37, EV): BC added a second just two minutes later after a scrum in front of the Crusaders' goal led to a loose puck that Delany Belinskas sent home.